Before we delve further into bitcoin and how to use it, let’s discuss the blockchain that it runs on. A blockchain is a shared public ledger that records transactions. Doesn’t sound like anything special, right? 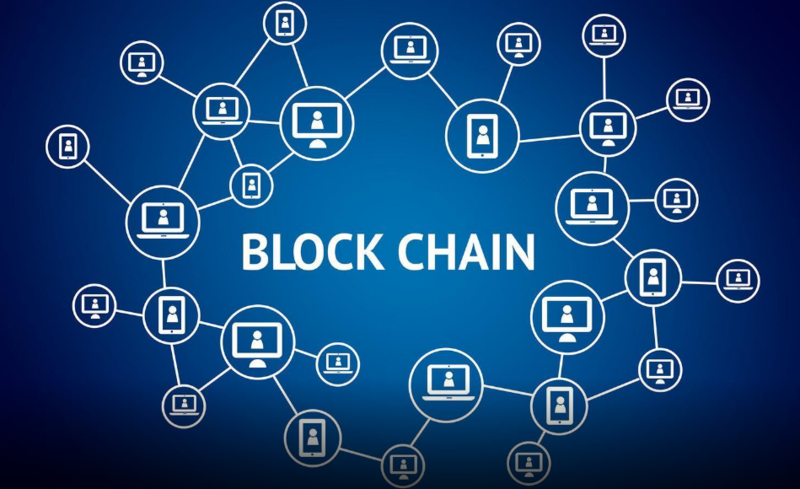 The blockchain is a decentralized system being that transactions are done across many computers (users). There is no central point of failure and all the information on the blockchain is transparent and cannot be altered retroactively without adjusting and essentially regenerating the prior blocks. Try cooking the books in that environment! Bitcoin and the Blockchain are talked about hand in hand. However, the bitcoin blockchain isn’t the only blockchain technology out there (more on that in a later post). In 2009 the first bitcoin transaction occurred creating the first block in the blockchain. Since that time each bitcoin transaction has been recorded on the blockchain. To grasp this, let’s first define what a block is. Since the blockchain is in essence a ledger. Think of each block as a page in the ledger. The very first page that appeared in the ledger is called the Genesis Block. Every single transaction since that first block created a new block, or page in the ledger, that also holds info on the prior block. Each block contains a hash, which is a random set of letters and numbers that reference the previous block(s). The blocks are created in chronological order and each transaction adds a new block to the chain. Because of this any and all transactions up until this moment can be traced back to the Genesis Block. However, as the chain grows so does the size of the data. As of this writing the bitcoin blockchain is roughly 140GB. This will only continue to grow as more and more transactions occur. The bitcoin blockchain is known as open ledger. For the reasons described above; all transactions are recorded and transparent for all to see. Where that entire transaction history sits is in what’s called a node. A bitcoin node owns a full copy of the bitcoin ledger and is found on computers running bitcoin wallet software constantly. There are many other coins and technologies that have already been built off the original bitcoin blockchain technology (more on those later). https://bitconnect.co to earn daily interest on bitcoin that you lend. Disclaimer: All content in this post is my opinion and for informational purposes. This post received a 15% vote by @eternal.witness courtesy of @Kubby from the Minnow Support Project ( @minnowsupport ). Join us in Discord. This post received a 15% vote by @minnowsupport courtesy of @Kubby from the Minnow Support Project ( @minnowsupport ). Join us in Discord. This is exactly the kind of info that this platform and the community more broadly needs. There's a lot of advanced discussion that requires preexisting knowledge. When it comes to the simple stuff I find that people are often left on their own. Well compiled @scaredycatguide! I resonated with what you said on your show in that regard as I recently had the same experience with having to introduce a newcomer to the concepts. I found myself speaking too technically. It's an acquired skill I think; being able to communicate entry level interest. One worth acquiring! How more can anyone explain this better than the way you did it @scaredycatguide? Thanks man! I plan to continue explaining more in future posts. This post has been resteemed by @minnowsupport courtesy of @Kubby from the Minnow Support Project ( @minnowsupport ). Join us in Discord. This post received a 15% vote by @netuoso courtesy of @Kubby from the Minnow Support Project ( @minnowsupport ). Join us in Discord. Be sure to go to https://steemit.com/~witnesses, scroll to the bottom of the page, and vote for @netuoso.